It doesn't take a genius to work out how Exmouth got its name. At the mouth of the River Exe in South Devon, not from Exeter city, this vibrant, waterside town makes the most of a location where river meets sea. Water-sports enthusiasts are in their element and the area is particularly good for kitesurfing, windsurfing, wakeboarding and sailing. But the coastal footpath and excellent cycling routes and mean outdoorsy types are just as at home on dry land too. 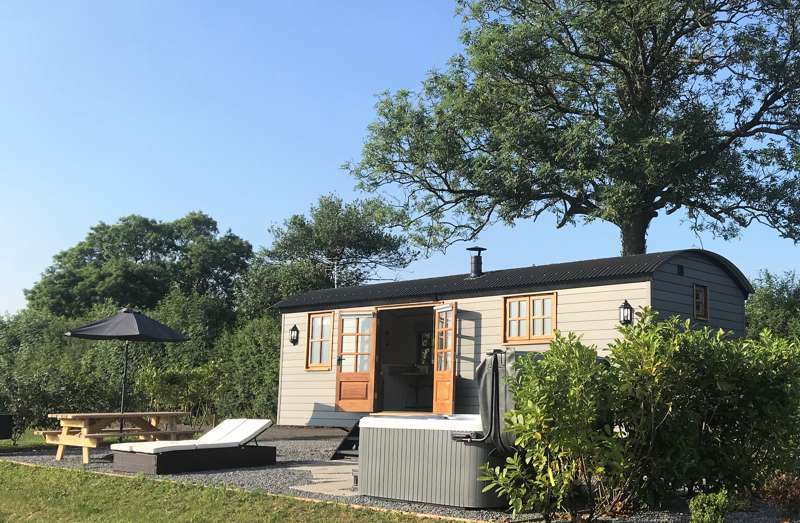 The best way to stay, in the humble opinion of the Cool Camping travel experts, is to pitch up for a spot of Exmouth camping or glamping and, as always, they’ve been out and about finding the very best sites for our handpicked selection. Situated at the mouth of the River Exe and at the gateway to the world-famous Jurassic Coast, Exmouth in South Devon is a fantastic place to pitch up for a holiday. It’s one of South Devon’s oldest and most picturesque towns with two miles of golden sands. Just 11 miles from the city of Exeter, it’s also a relatively easy part of Devon to reach and is said to have been the first holiday resort in the county. 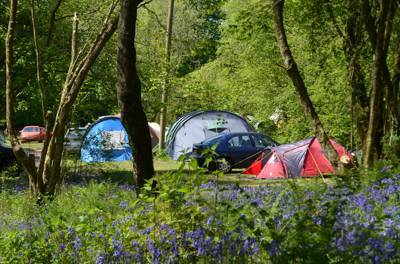 It’s little wonder then that there are loads of campsites and caravan parks in and around Exmouth. We steer clear of the large-scale holiday-park style sites and look for places that have individuality and charm. 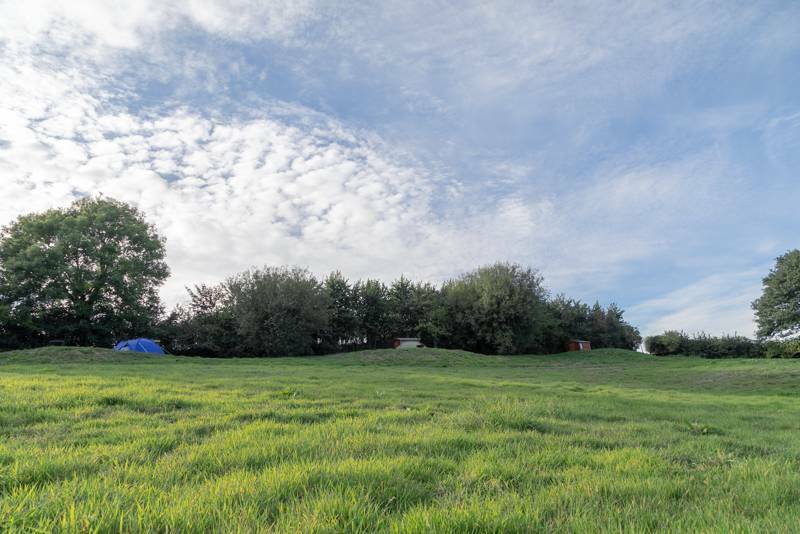 Sometimes these are classic camping sites where you can pitch a tent and enjoy the simpler things in life and sometimes they are glamping sites where you can kick back and relax in relative luxury from the moment you arrive. 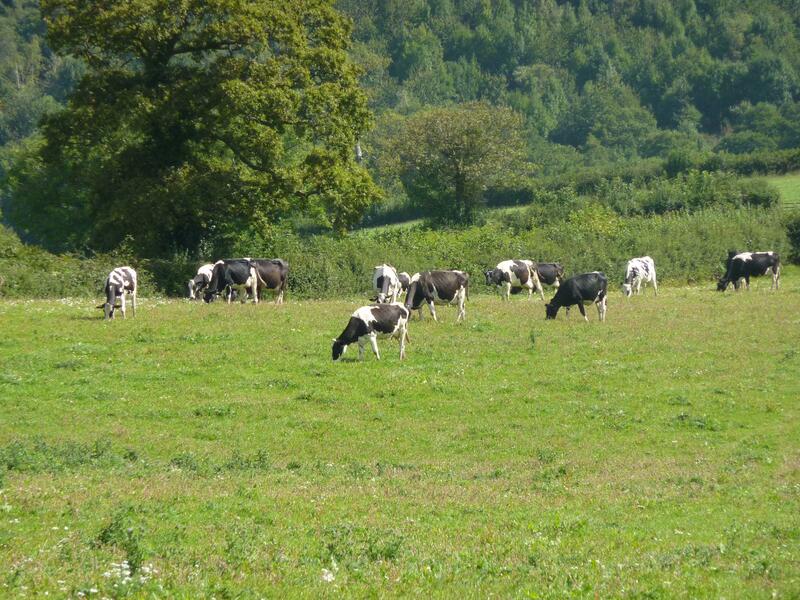 Often, they are a little further off the beaten track, but we think that’s all part of the charm. 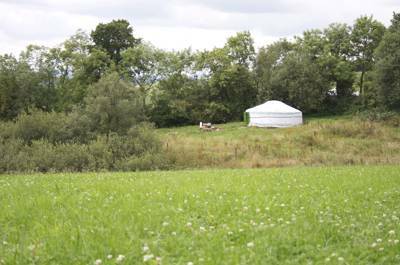 Whether you want somewhere to pitch your tent, a place to park up in a campervan or are looking for a bell tent, yurt or shepherd’s hut near Exmouth, our collection should have something to suit you. From kitesurfing to crazy golf, fossil hunting to cycling, there’s plenty of things to do in and around Exmouth. It’s a large town with all the shops and eateries you could ask for, beyond the longest promenade in Devon. Taking a stroll along the esplanade is almost obligatory during a stay and it’s here that you’ll find ice cream kiosks, amusements and places to jump aboard the town’s land train that can whisk you along the prom and in to town. If you prefer to travel under your own steam you can walk on the well-signposted South West Coast Path or cycle on the Exe Estuary Cycle Trail which links destinations from Exeter to Dawlish. Watersports enthusiasts will be in their element as Exmouth is known as a destination for kitesurfing and wakeboarding. Nature lovers will be wowed by the opportunity for fossil hunting on the Jurassic Coast, which stretches east in to Dorset while winter glamping brings the best birdwatching opportunities as waders and wildfowl flock to the Exmouth Nature Reserve’s tidal mud flats and sandbanks. 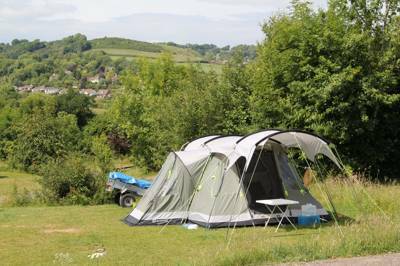 For more ideas on things to do during a camping or glamping holiday in Exmouth, take a look at the Visit South Devon website. Exmouth River Exe South Devon Exeter seaside coastal camping campsites campsite tent campervan caravan beach holiday park at Exmouth Camping, At the mouth of the River Exe in South Devon, not from Exeter city, this vibrant, waterside town makes the most of a location where river meets sea. There are loads of great campsites in the local area and, as always, we've been out on the road to bring you the very best.